With the holiday season over, import cargo volume at the nation’s major retail container ports is expected to slowly decline through the first quarter of the year, according to the monthly Global Port Tracker report released today by the National Retail Federation and Hackett Associates. Did you know that MIQ Logistics has the capabilities to support your Hawaii and Puerto Rico logistics needs? MIQ Logistics provides a seamless solution with a single point of contact that gives you the shipment security, speed to market and customer service focus your business requires. American Trucking Associations’ advanced seasonally adjusted For-Hire Truck Tonnage Index declined 0.9% in November, following an increase of 1.8% during October. The October figure was revised down from our press release on November 24. In November, the index equaled 134.3 (2000=100), down from 135.5 in October, and 1.1% below the all-time high of 135.8 reached in January 2015. On Nov 29th, the U.S. Department of Transportion’s Federal Motor Carrier Safety Administration (FMCSA) officially published the Final Rule in the Federal Register pertaining to Prohibiting Coercion of Commercial Motor Vehicle Drivers; referred to as the “driver coercion rule”. 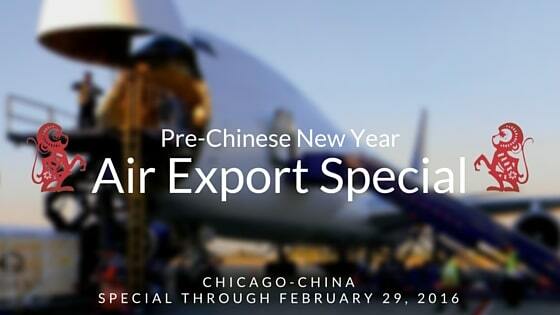 MIQ Logistics wants to help you plan for the upcoming Chinese New Year with our air freight consolidation services from Chicago (ORD) to key commercial gateways in China. The Chinese New Year is on February 8, 2016, so let MIQ secure space for you before the rush! This special promotion will run through February 29, 2016. Although the economy continued to be sluggish in November, our Freight Shipments Index was stronger than expected. Freight payments decreased, as capacity to carry was abundant. Black Friday sales—combined with Cyber Monday sales—were very strong this year as customers took advantage of reduced prices and discounts, placing orders before the cost of shipping goes up for the remainder of the holiday period.